Bassett Unified will celebrate the opening of Flanner Child Development Center with a special ribbon-cutting ceremony and classroom tours of the newly renovated facility. 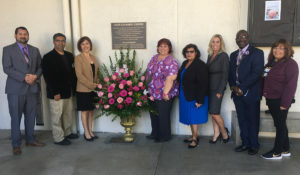 Bassett High School dedicated its special education building on Nov. 2 to Linda Davis, an educator who spent over 30 years at Bassett Unified helping students with special needs transition into college, vocational school or employment. Davis passed away in 2007. The Davis Learning Center will support the District’s Adult Transition program, which is available to all students in the East San Gabriel Valley Special Education Local Plan Area. Bassett Unified will hold a Family Resources Fair from 9:30 to 1 p.m. Saturday, Oct. 20 at Bassett High School, 755 Ardilla Ave., La Puente. The event will feature an array of community resources to support social, emotional, mental and physical health. Organizations include: Mission City, Project Sister, Western University School of Optometry, San Gabriel Valley Foundation for Dental Health, East Valley Health Center, Del Haven and the East San Gabriel Valley Coalition for the Homeless. Bassett High English teacher Tania Neri’s class formed a line dance to ask a series of “Would you rather?” questions each time they changed partners, learning personal details about their schoolmates on the first day of school on Aug. 6. 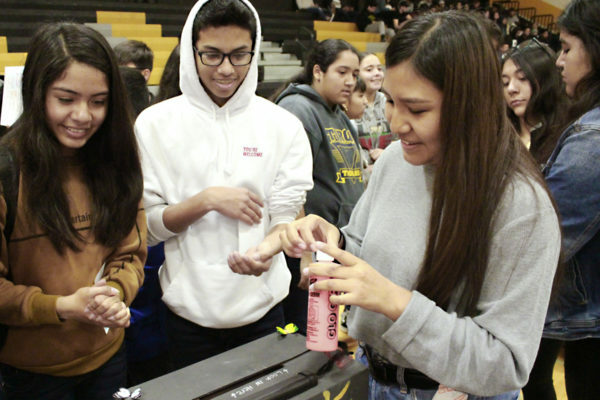 Bassett High Activities Director Christina Topjian-Covington will use a $20,000 California Teacher Association grant to fund Bassett Connects, a program that will guide students on their college and career pathways. Students will have access to Thrively, an online tool that assesses strengths and interests, and provides online courses and lessons on topics that include study skills, financial literacy and career exploration. Bassett Unified students in grades six through 12 listened to motivational speaker Jeff Yalden share his life stories on Sept. 24 and 25 as part of a program on healthy social and online interactions. Parents also attended a workshop regarding healthy relationships with their children and the negative effects of extensive online social interactions. 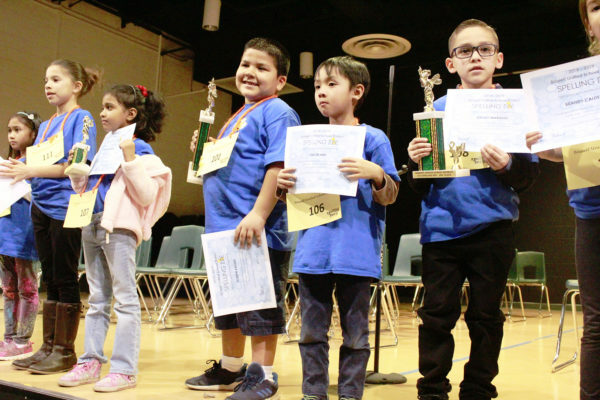 Bassett Unified hosted its first State of the District event on Sept. 20, outlining the District’s goals for the 2018-19 school year. Superintendent Debra French highlighted the District’s rigorous programs and initiatives to further the success of students. She also reviewed accomplishments, including improved campus safety measures and a Digital Learning Initiative that will provide a laptop for every student. Bassett High School 10th-graders will receive devices that can be used as laptops or tablets from 8 a.m. to 2 p.m. Monday, Aug. 27 and Tuesday, Aug. 28 as part of Bassett Unified’s Digital Learning Initiative, launched this year. 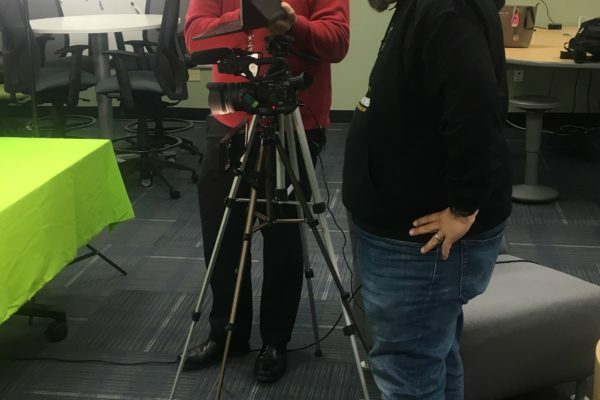 The initiative will provide devices to students across the district over the next four years and connect families to low-cost internet. Students in third and sixth grades are also receiving devices this year. Bassett High is at 755 N. Ardilla Ave., La Puente. Bassett High students offered input on lesson planning for their first day of school through a partnership with Design School X (DSX), which teaches students how to create change in their communities. DSX representatives met with teachers, staff, students and parents on Aug. 3 for an all-day training seminar, seeking input on how to improve parent engagement, the freshman experience, school image and first day of school. Students also offered input when fall semester started on Aug. 8. Photos are available.